VOTE for the LH Podcast in the TASTE Awards! 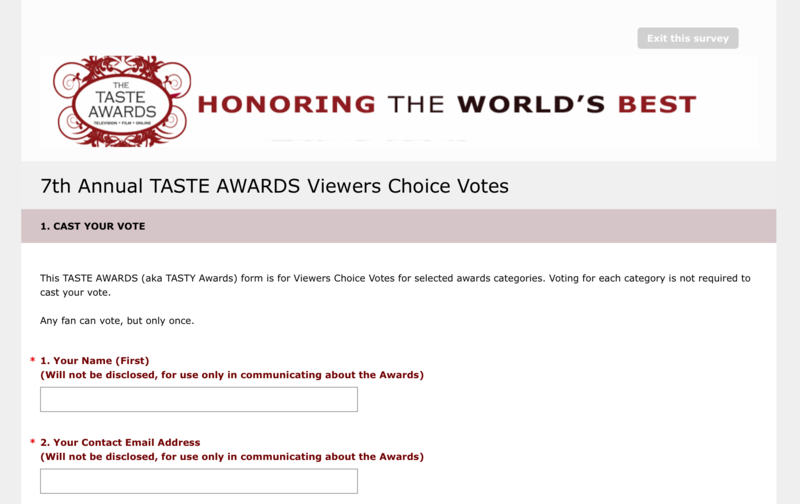 The Living Homegrown Podcast has been nominated for a TASTE Award! It’s a “viewers choice” award, so every vote counts. I would SO appreciate your vote and it should only take 1 minute to do. The podcast is in the “Best Food or Drink Radio Broadcast” category. You will see this screen when you click the link above. Enter your first name and email. ***You do not have to vote for every category. You can simply scroll down to Number 6 to vote for the Living Homegrown Podcast. Tick the box next to Living Homegrown Podcast. Then simply scroll to the bottom of the page and select the ‘Done’ button. And voila, your vote is registered! Thank you so much! CLICK HERE to vote now if you haven’t.